The sliding window is made up of two (or more) sashes that slide horizontally, to the left or right, on tracks. 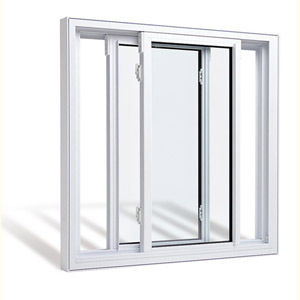 The sliding window can be made wider and taller with the addition of sashes. All window types in living rooms, bedrooms and kitchens. All window that require mesh. Space-economy as the sashes slide and do not open inwards.. Provides 50 % opening at any given time.